20 Aug 2018 --- Technological advancements have made many aspects of modern life more convenient but also brought certain negative consequences to human health. One of these is the deterioration of eyesight due to increased screen time. What are some of the opportunities and ingredients suppliers are tipping to counteract these effects? “Over the years there has been a tremendous increase in demand for eye health supplements globally. Data obtained from Innova Market Insights shows that between the years of 2012 to 2016, new products launched with an eye health positioning increased by over 70 percent, with the leading markets being North America, West Europe and Asia,” says Maryanne Mburu, Senior Key Account Manager at AstaReal. “The eye health category generally focuses on improved eyesight, covering visual performance and acuity, glare and contrast sensitivity, chromatic blur, night vision, blind spots, cataract and retinitis pigmentosa,” explains Priya Kunhiraman Madavalappil from Katra Phytochem, which manufactures XanMax, a combination of free lutein with varying levels of zeaxanthin, manufactured from marigold plants. Although the aging of the population has traditionally been a strong driver within the eye health space, industry experts are in agreement that the increased amount of screen time in daily life is now also driving strong demand for eye health supplements. “Many, if not most, people can’t escape blue light because it is everywhere, almost all the time. Moreover, in terms of time spent in front of digital devices, they are frequently doubling down on devices they use to help them multitask their way through the day,” says Brian Appell, Marketing Manager, Activation at OmniActive Health Technologies. According to a YouGov Eye Fatigue Report in 2016, Mburu states, in Europe alone as many as 90 percent of people who work primarily on computers experience eye fatigue symptoms and 8 in 10 European millennials experience digital device-related eye fatigue. Star ingredients in the eye health segment are currently lutein and zeaxanthin. These two carotenoids have enjoyed growing interest over the past five years from a product development perspective. According to Innova Market Insights data, new product launches (including supplements) tracked featuring lutein and zeaxanthin saw a compound annual growth rate (CAGR) of 25 percent and 18 percent, respectively, between 2012 and 2016, when 2012 is taken as a base of 100. “Lutein and zeaxanthin isomers are veteran eye health ingredients that have traditionally been positioned for older demographics. However, recent research has uncovered other market opportunities, particularly for younger generations who have become accustomed to long periods of screen time, putting them at significant risk of short-term and long-term effects on the eyes,” says Appell. In this space, OmniActive has created Lutemax 2020, which the company touts as being able to significantly improve MPOD (macular pigment optical density), visual performance and indicators of excessive screen use, including eye strain and fatigue and headache frequency. “Demand for lutein is also increasing in infant supplements to overcome vision deficiency among children. Lutein is high in efficiency and effectiveness in low dosages, which is driving the growth of this segment compared to others,” says Kunhiraman Madavalappil. However, there is ample room for other natural ingredients in this space, such as another carotenoid – astaxanthin. “Based on data attained from Innova Market Insights, we saw that between 2011-2016 the number of new product launches tracked with an eye health indication containing astaxanthin increased four-fold, showing that natural astaxanthin is certainly gaining attention as a key ingredient within this booming market,” says Mburu. She points to research conducted using AstaReal’s ingredients showing that natural astaxanthin can target the intraocular functions of the eye leading to a reduction of eye fatigue, improved accommodation range and improved retinal capillary blood flow in the eye. Products that support the efficacy of carotenoids are also seeing growing demand, with, for example, Lycored developing a combination of plant-derived phytochemicals from marigold, tomato and rosemary that has a synergistic effect, inhibiting the production of pro-inflammatory markers. “We postulated that the tomato carotenoids would also act to stabilize lutein and zeaxanthin, which accumulate selectively in the lens and macular region of the retina. The composition has been found to be effective in an ex vivo model of immune cells from AMD patients and is now being tested in a clinical study,” says Tal Offer, Category Manager at Lycored. Another compound set to see further growth in this space is beta-carotene. “Beta-carotene is the primary source of vitamin A as it acts [as a] precursor. Meso Zeaxanthin has also been proved to be effective in its accumulation in the central macula and hence has growing potential in treating AMD,” says Kunhiraman Madavalappil, adding that superfruit extracts such as blackcurrant, blueberry, as well as grape seed, rich in proanthocyanidins and anthocyanidin, and rosemary extract rich in carnosic acid, are well researched. 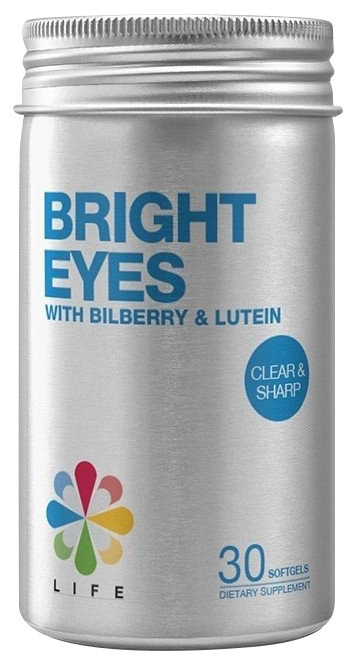 “Anthocyanin-containing antioxidants have been shown to help protect the retina against damage from free radicals, while resveratrol helps prevent vision loss and prevent wet macular degeneration. Vitamins C and E, zinc and copper are the few nutrients that help the overall mechanics,” she notes. What are the most significant challenges in creating or researching ingredients aimed at eye health? 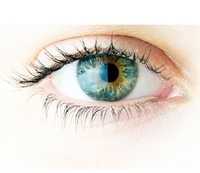 Suppliers note that the most significant challenges in creating eye health ingredients lie in the organ’s complexity. “The human eye is a complex organ with millions of nerves and blood vessels. Copious amount of time and expertise is required to conduct studies that target the eye,” Mburu states. “Ocular bioavailability depends on the physicochemical and biopharmaceutical characteristics of the selected nutrients. When orally ingested, the dietary supplements are metabolized by the liver and the diffusion of the metabolites from the plasma into the eye will be restricted by the inner and outer blood-retinal barriers. Thus, protection of the ocular tissue in vivo may be limited by this delivery route,” Offer further explains. The statement indicates that there is little direct scientific evidence at this time to support a claim that taking supplements containing lutein can decrease the risk of developing AMD or cataract. Nevertheless, the possibility that lutein may reduce the risk of oxidant-related diseases of the eye warrants further research. Another challenge revolves around the scaling up of commercial technologies, an essential hurdle to overcome amid growing consumer demand for natural ingredients. “Some of the ingredients in the eye health segment do involve high-end technologies which can become a barrier in commercialization. For example, lutein production is high in microalgae chlorella when it is cultivated heterotrophically, owing to its higher growth rate, less land demand, low water demand and harvest all year when compared to marigold. However, the commercial viability is poor owing to its lower content of lutein in the microalgae. Also, the scale-up process demands high energy in the cell disruption and extraction process, making the ingredient costlier than their synthetic alternatives,” Kunhiraman Madavalappil notes. As mobile device usage becomes more pervasive among a larger set of the population, products aimed at eye health are bound to continue to gain consumer interest. However, considering that this organ is sensitive, manufacturers should aim to create varied options for the delivery of eye health-boosting products. “Consumers are open to alternative dosage forms that are more easily consumed and transported, including liquids, gels, shots, gummies, stick packs and popping crystals,” Offer notes. As with the nutritional market as a whole, the industry also has ample opportunity to take a proactive approach to eye health ingredients. “The nutraceutical market is being driven by an increased awareness among consumers on the importance of good nutrition and supplementation as a preventative measure. More research needs to be conducted on understanding mitochondrial dysfunction which has been linked to fatigue and age-related diseases and could be the key to preventative healthcare,” Mburu concludes. AstaReal AB is a pioneer and world leader in research based natural astaxanthin health products. Produced in Sweden and marketed under the AstaReal® brand, AstaReal AB is committed to supplying natural astaxanthin products that exceed market standards. AstaReal was the first company in the world to commercially produce natural astaxanthin from the microalga Haematococcus pluvialis. AstaReal® products are backed by extensive expertise and unrivalled experience in the field of microalgae research and production. AstaReal AB continues to lead the way in the production and innovation of natural astaxanthin. The algae are grown indoors in stainless steel Photo bioreactors under carefully controlled and hygienic conditions - resulting in more effective, cleaner and safer processes. Furthermore, AstaReal´s unique cultivation technique results in astaxanthin of the highest concentration, purity and quality available on the market. With clinically validated benefits for applications such as skin health and anti-aging, muscle endurance, immune function, eye health, cardiovascular health, gastric health and brain health, AstaReal® natural astaxanthin is an essential addition to your product portfolio to address the many opportunities within the anti-aging and healthy aging markets. AstaReal offers a range of bulk natural astaxanthin products to fit different applications that are guaranteed high potency, quality and stability. The bulk product range includes an algal meal rich in astaxanthin, an oil extract and a water dispersible powder, allowing for the development of innovative products that add astaxanthin´s unsurpassed antioxidant power. AstaReal® natural astaxanthin products are approved for use in dietary supplements, food and cosmetic applications. In addition, AstaReal has developed a range of finished formulations containing AstaReal® natural astaxanthin, each expertly developed to support a number of health areas. AstaReal® is the natural astaxanthin of choice, and is used and endorsed by health professionals around the world. AstaReal offers specialist advice and is committed to providing the highest level of attention and service to all of our customers. Contact us to find out more about our superior range of natural astaxanthin products.